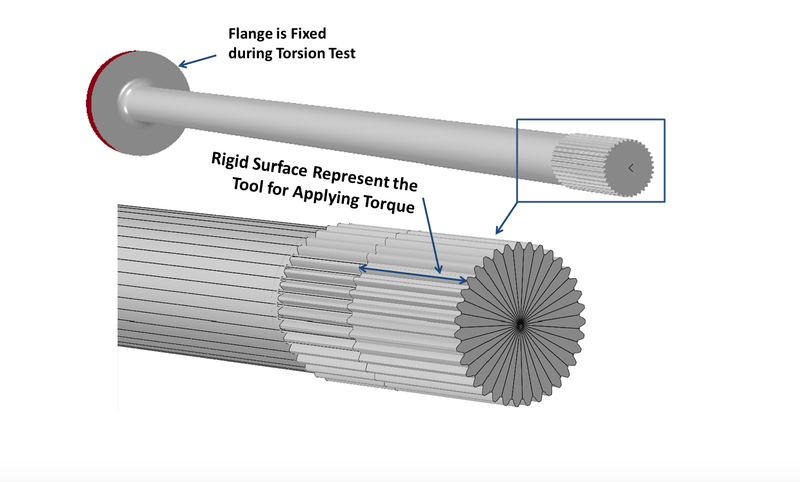 Figure 1 shows an example of a fully assembled axle coil. 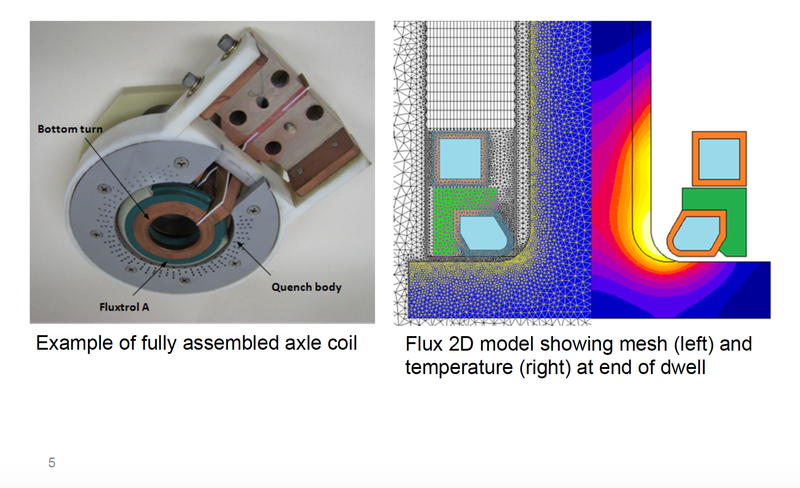 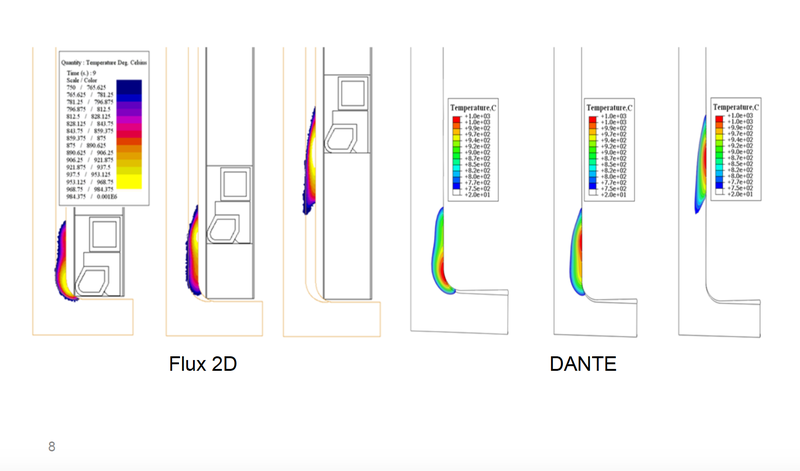 Figure 2 illustrates a Flux 2D model showing mesh (left) and temperature (right) at the end of dwell. 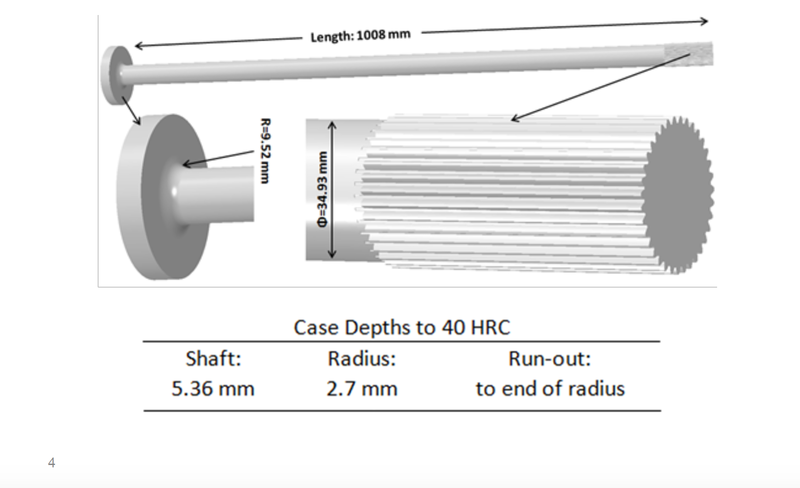 Total axial growth is 2.3 mm and radial shrinkage in shaft is 4μm. 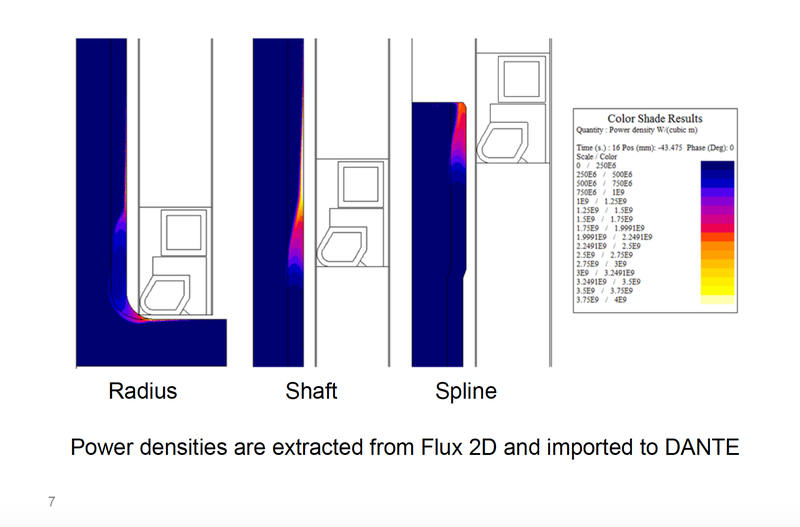 The authors have shown other papers that the axial growth and stress profiles are strongly influenced by the quenching severity. 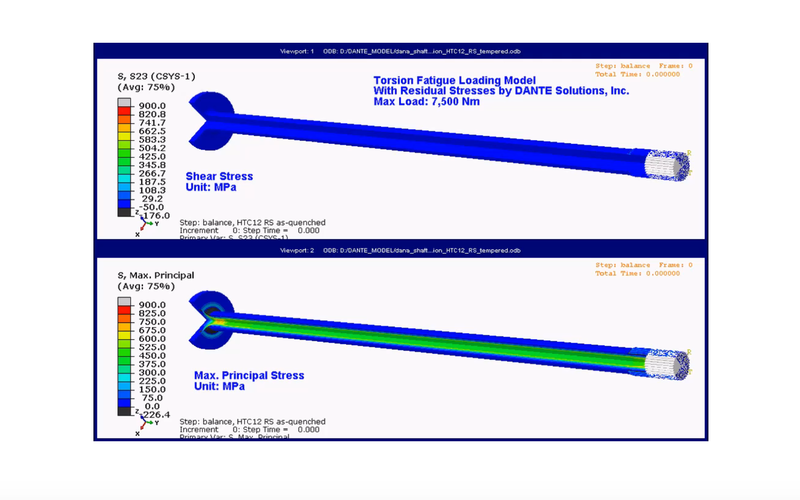 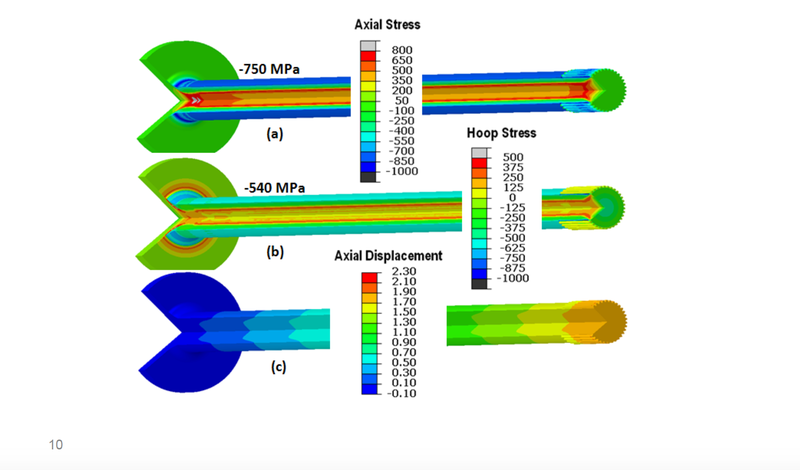 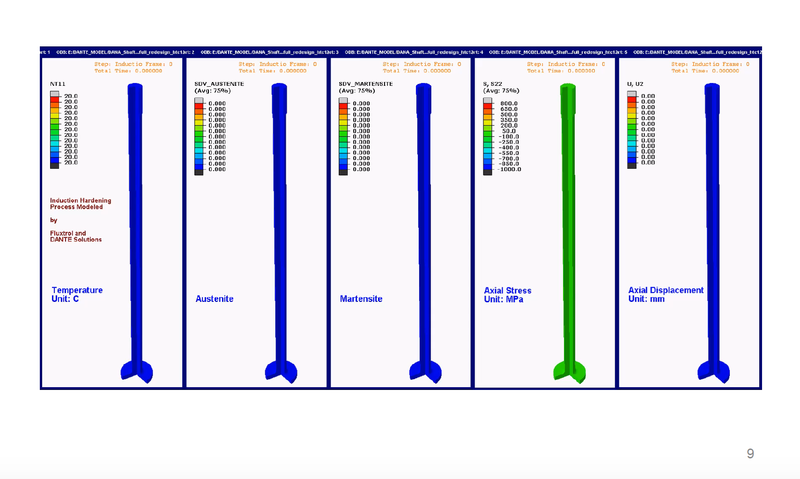 Virtual Loads were applied to the axle that simulate torsional testing equipment used in industry. 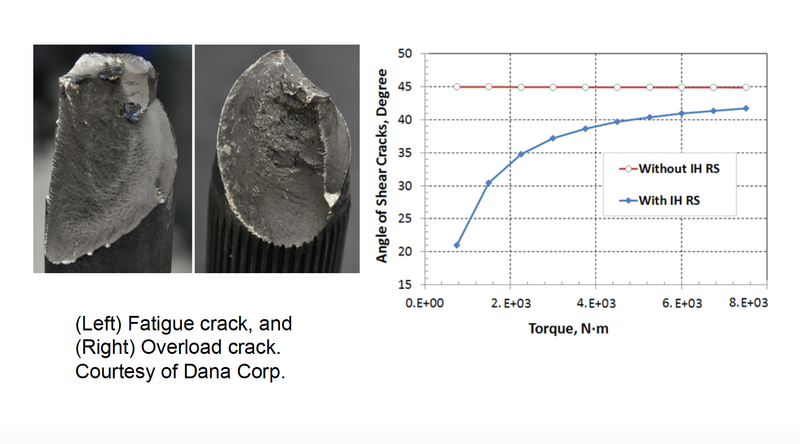 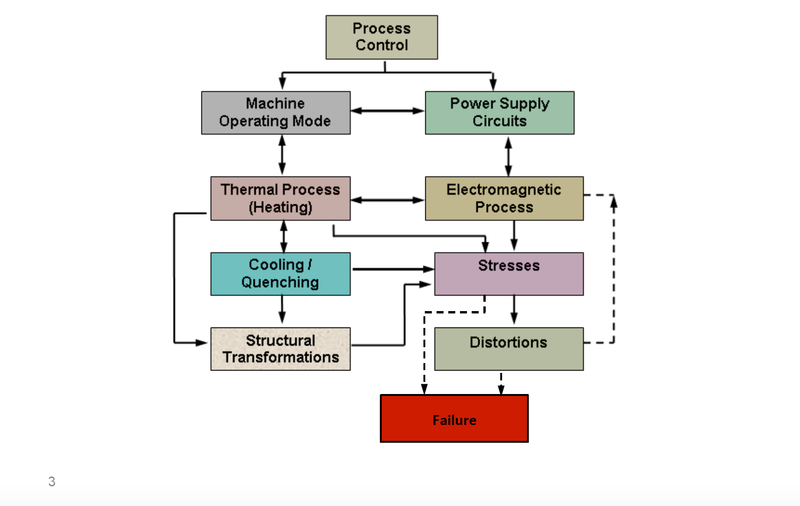 Failure mode predictions are similar to what has been found while testing real components, showing that the residual stresses from the heat treating process have a strong influence on the component performance. 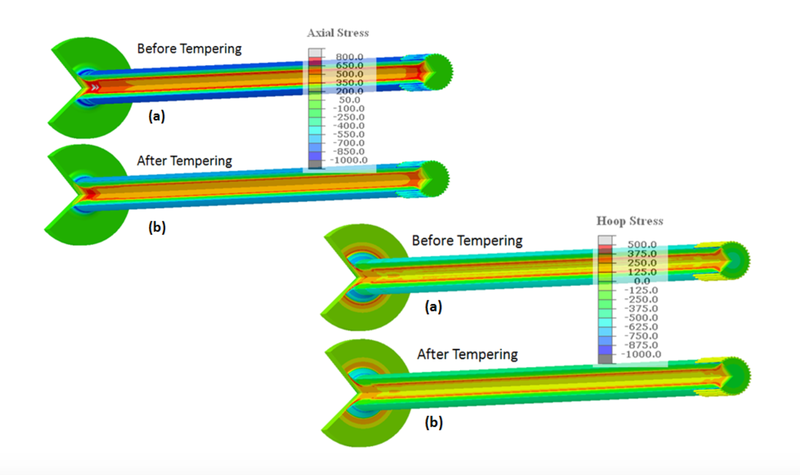 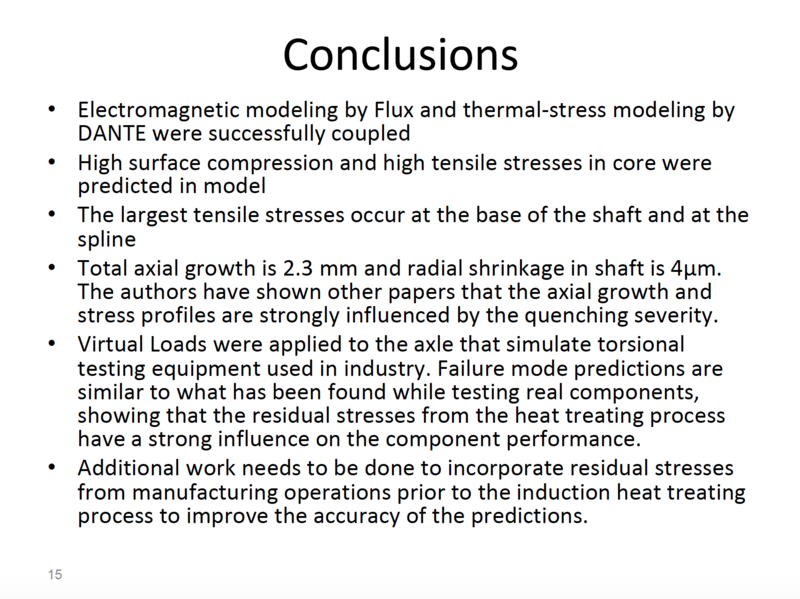 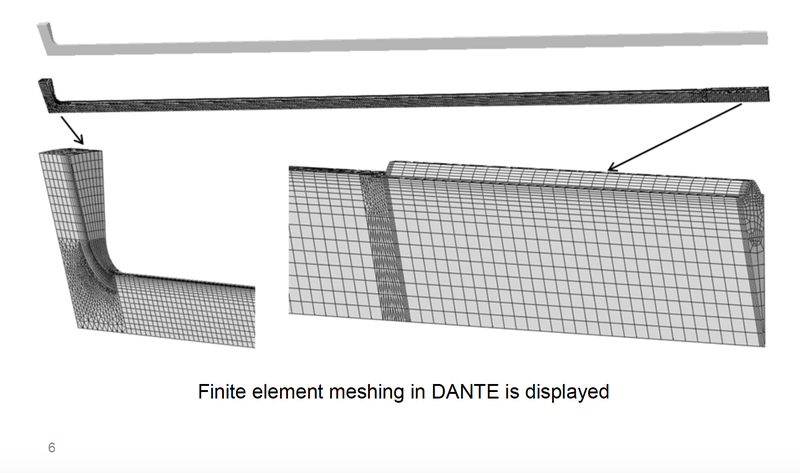 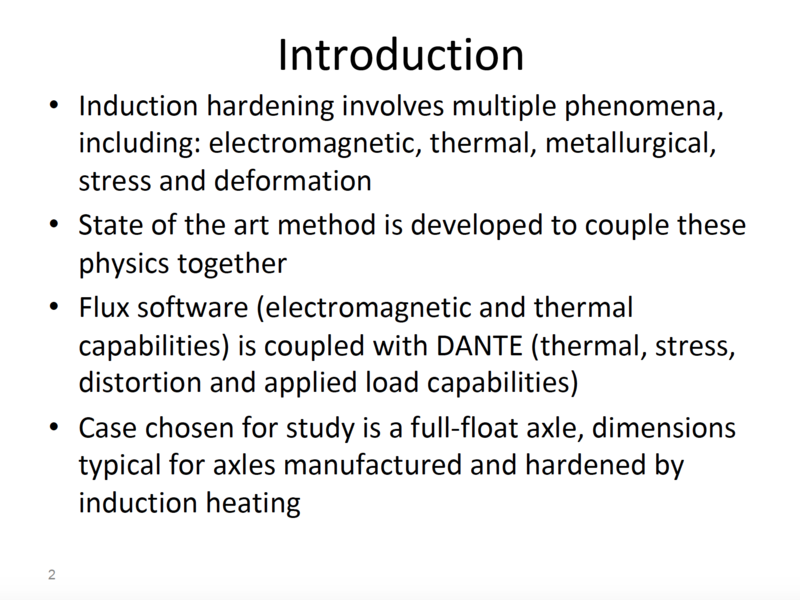 Additional work needs to be done to incorporate residual stresses from manufacturing operations prior to the induction heat treating process to improve the accuracy of the predictions.